Dawn is a fresh and clean fragrance inspired by morning, sunrise and first sunrays. The fragrance was created in cooperation with perfumer Stephen Nilsen of Givaudan, who enriched top notes with a cocktail of citrus aromas with angelica and violet leaves. A heart is composed of orchid, and a drydown of Tahitian vanilla, orris, oakmoss, vetiver and musk. 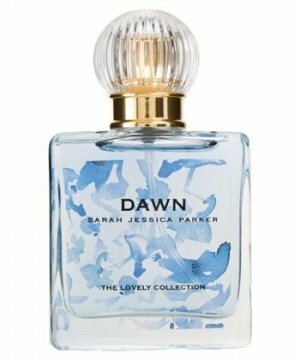 The Sarah Jessica Parker Dawn 75ml EDP Womens Perfume was added to the Women's Perfume category in June 2016. The lowest price GetPrice has found for the Sarah Jessica Parker Dawn 75ml EDP Womens Perfume in Australia is $44.90 from Price Rite Mart.